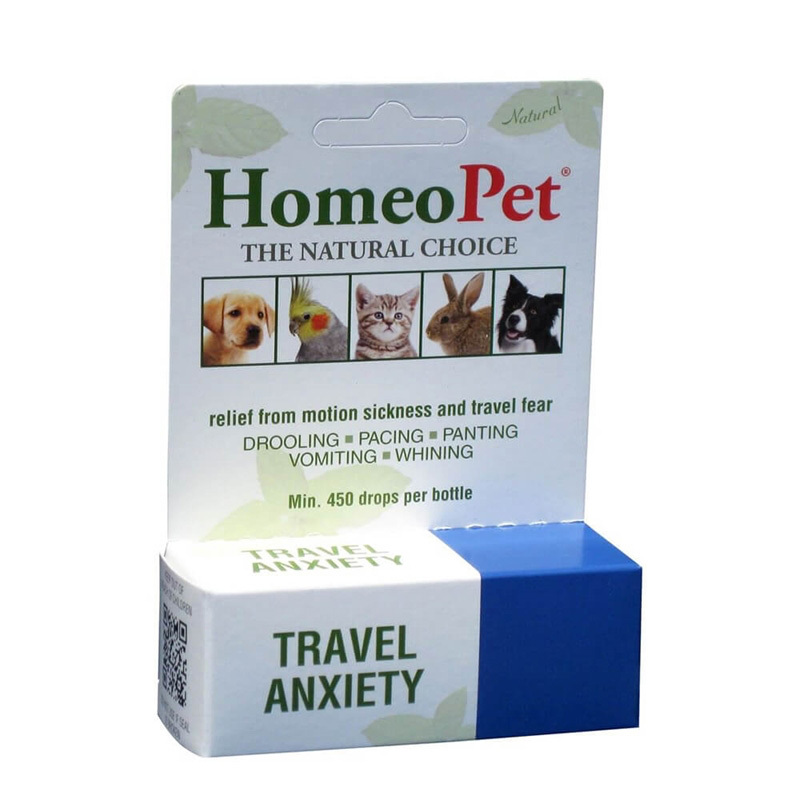 HomeoPet Travel Anxiety relieves symptoms of dog motion sickness and anxiety related to fear of travel. Does your dog suffer in the car? Motion sickness, car sickness and fear of traveling can wreak havoc on your dog. And any of these conditions are also likely to trigger unwanted behaviours from severe stress. Symptoms of anxiety include vomiting, drooling, panting, restlessness or unwanted behaviour. So many of our customers have been after a solution that is neither a sedative nor tranquiliser. I’m very happy to be able to offer HomeoPet Travel Anxiety which is just that. It’s perfect for relieving anxiety without any side effects. HomeoPet Travel Anxiety is completely non-sedating and non-habit forming. This natural, plant- based formula works really fast (typically within 15 minutes) and can be easily administered in liquid form. Veterinarian developed, this formula has been proven to work through clinical trials world wide. For general anxiety issues, choose HomeoPet Anxiety. However, there are circumstances where the two products can work well together. For example, plane travel can cause general anxiety as well as motion sickness. The use of both HomeoPet Anxiety and HomeoPet Travel Anxiety is recommended in this case. Borate of Sodium (Borax 6c & 30c): for the effects of nausea from motion, motion associated with travel. Meadow Saffron (Colchicum Autumnale 6c & 30c): for motion sickness, fear of travel, drooling, fear of travel or motion. Passion flower (Passiflora 6c & 30c): calms fear induced by the effects of traveling.